HCOMI | The best adult hockey league, with 2 periods.. The Best Adult Hockey League, With 2 Periods..
HCOMI CUP Playoffs: 2 best of 3 and best of 5 for the HCOMI Cup! Be United Hockey Union insured. Insurance is $34 Per Player. Details coming soon. Have full equipment w/visor min. 1. Registration. I am the above named Participant and I am hereby registering to try out for and/or participate in ice hockey programs provided by the HCOMI. I understand that this registration is not effective until accepted by the HCOMI and that the HCOMI may decline to accept this registration for any reason not in violation of local law. Upon acceptance of this registration by the HCOMI, this registration becomes a contract under which the HCOMI agrees to permit me to participate in HCOMI programs and/or activities, in accordance with the HCOMI’s rules, and I agree to be bound by these Terms of Registration and the HCOMI’s rules and policies. Unless the HCOMI notifies me to the contrary, I understand that this registration is deemed accepted by the HCOMI upon the HCOMI’s receipt of same together with the required payment in full. I understand that this registration shall be effective with respect to this Terms of Registration Agreement until such time as I notify HCOMI in writing of my request to terminate this Agreement. 2. Term of Agreement. I agree that this registration form is binding upon me throughout the duration of my HCOMI membership and/or participation in HCOMI programs and shall apply to any and/or all HCOMI programs or activities. The HCOMI reserves the right to terminate my participation in HCOMI programs or activities at any time during the course of that program or activity for any reason which is not in violation of local law. A pro rata refund will be made, based upon remaining games or sessions, to any player whose participation is so terminated without cause (i.e. not on the basis of a violation of these Terms of Registration or a violation of the HCOMI’s rules, policies, directives, or decisions). This Agreement shall be automatically renewed by my participation in any of HCOMI’s programs. H. That I will reimburse the HCOMI in full, within ten (10) days of notice, for the cost of any property damage for which I am deemed responsible by the HCOMI or others or for which the HCOMI is billed by any ice skating facility. 4. Refunds. I agree that any request for a refund must be made in writing, sent by certified mail, to the address listed above and be received by the HCOMI prior to the deadline date relating to the program. I understand and agree that the HCOMI will not provide or be responsible for any refund of program fees to me after forty five (45) days prior to the start of any program. Additionally, any participant who becomes injured, or requires a leave of absence based upon a medical condition, will not be refunded any portion of the entry fee until such time as that player is replaced permanently. B. I am a returning player and my team already has more fully paid players than are required by the HCOMI; and the prorate shall not be for more than five (5) games/sessions. E. By endorsing below, agree that I will not, at any time, lay a hand upon, push, shove, strike, threaten to strike, verbally threaten an official, Board member, another player, or spectator, and will not behave in an unsportsmanlike manner, and may be expelled without refund from the HCOMI for failure to comply with the Terms of Registration, any HCOMI rule, directive, or decision, or for any of the following additional reasons: 1. Failure to make full payment when due; 2. Falsification of registration information; 3. Receiving three (3) game misconduct penalties within a period of twelve (12) calendar months; 4. Receiving two game misconduct penalties and one match penalty within a period of twelve (12) calendar months; 5. Receiving three (3) match penalties within a period of twelve (12) calendar months; 6. Other misbehavior as defined in the Terms of Registration and/or the HCOMI’s rules, policies, directives, or decisions; and 7. Failure to remit additional full payment as part of my team’s payment obligation for open roster spots and/or my team member program fees (as part of meeting the minimum revenue requirement as outlined to all captains prior to the start of each program). G. Understand that the HCOMI, its Board members, and governing body, have elastic power in determining suspensions, penalties, rule interpretations and will work with the officiating crew, as necessary, to assist in enforcing the decisions regarding in game conduct. 7. Assumption of Risk. I acknowledge, understand, and assume all risks and hazards incidental to and/or inherent in the conduct of ice hockey and any HCOMI activities. I UNDERSTAND. ACKNOWLEDGE. AND AGREE THAT THE SPORT OF ICE HOCKEY HAS INHERENT RISKS OF PHYSICAL INJURY TO ME. INCLUDING BUT NOT LIMITED TO. SERIOUS BODILY INJURY, PARTIAL OR TOTAL DISABILITY. PARALYSIS. AND DEATH AND OTHER DAMAGES WHICH MAY ARISE THEREFROM AND THAT I HAVE FULL KNOWLEDGE OF SAID RISKS. These risks and dangers may be caused by my own negligence and/or the negligence of others. I further acknowledge that there may be other risks and dangers not known to me or HCOMI or that are not reasonably foreseeable at this time. The social and economic losses and/or damages that could result from those risks could be severe and could permanently change my future. I hereby certify that I have adequate medical insurance to pay for the treatment and cure of any such injury which may result from my participation in HCOMI activities and agree to be solely responsible for all medical, and other costs arising from any injuries I may receive while participating in HCOMI programs and/or activities. I further certify that I have no known medical condition which would prohibit me from participating in the sport of ice hockey. I acknowledge that HCOMI strongly recommends that I receive a physical examination by a competent physician prior to participating in any HCOMI activity. I further agree that prior to participating in any HCOMI program and/or activity, I will inspect the rink facilities and equipment to be used, and if I believe that anything is unsafe I will immediately advise my coach, team captain, and the game supervisor of such conditions, and I will refuse to participate until the unsafe condition(s) has been removed. I further understand that the HCOMI does not warrant any equipment used in any HCOMI activity or any facility at which HCOMI activities are held. 8. For and in consideration of my registration with HCOMI, and me being allowed to participate in HCOMI programs and/or activities, I hereby agree to hold harmless HCOMI, its Board members, its Affiliate Associations, Local Associations, Member teams, event hosts and each of them, their directors, officers, employees, operators, trustees, members, and agents for any and all accidents or loss, however caused. 9. Participant agrees to defend, release, and indemnify HCOMI, its Board members, its Affiliate Associations, Local Associations, Member teams, event hosts and each of them, and their directors, officers, employees, operators, trustees, members, and agents against and from any and all claims, expenses, costs, damages, loss, accidents, fines, judgments, awards, liabilities, and causes of action by whomever of wherever made or presented which may arise, however caused. 10. That HCOMI’s decision shall be final on the adoption, enforcement, and interpretation of all HCOMI rules and policies, and all other matters relating to HCOMI activities. I agree to abide by all such decisions not withstanding my person preferences to the contrary. 11. The HCOMI will be the sole authority as to what level, position and team I will be permitted to participate. This applies to sponsors who, by endorsing this instrument, acknowledge that they may be placed upon a team whose jersey bears a different sponsor. 12. The team captain will be authorized to act as the sole agent of the team for all purposes relating to HCOMI activities and events. If I am elected team captain, I will act to ensure that the team strictly complies with all HCOMI rules and policies. The selection of team captains will be made following the first regular meeting of the Board after the full complement of team members have registered. 13. The HCOMI may use for promotional, advertising, or educational purposes, without notice or compensation to me, any audio and/or visual recordings of any HCOMI activity in which I may appear. 14. 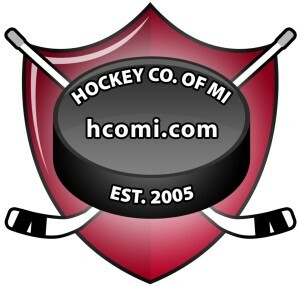 “HCOMI”, and “HOCKEY COMPANY OF MICHIGAN”, and the names of and rights to all HCOMI teams, are the exclusive property of the HCOMI and shall not be used in any manner in connection with any non-HCOMI programs or any tournaments or multiple games that have not been expressly approved or endorsed by the HCOMI. 15. No waiver of all or any portion of this agreement by HCOMI shall be effective except in writing and signed by an authorized officer of HCOMI. 16. In the event any action is instituted by HCOMI or Participant to enforce any of the terms or conditions herein, Participant shall reimburse HCOMI for any costs and reasonable attorney’s fees as HCOMI may incur. 17. To the extent there exists any inconsistency or conflict between these Terms of Registration and any other statement of HCOMI policy or rules, these Terms of Registration shall prevail and shall remain fully binding upon me. 18. HCOMI may terminate this agreement at any time upon written notice to Participant. This agreement may not be cancelled by Participant, unless expressly so authorized by HCOMI in writing. 19. HCOMI and Participant hereto agree that this agreement shall be deemed executed in the State of Michigan and this agreement shall be governed by the laws and statutes of the State of Michigan. 20. This Agreement may be executed by the Participant by facsimile transmitted signature and all parties agree that the reproduction of a signature by way of a facsimile transmitted device will be treated as though such reproduction was an executed original. However, the HCOMI will accept an electronically filed registration agreement provided the original signature is received by the first game. Moreover, if a participant takes advantage of the electronic filing option, HCOMI will deem the filing to specifically include an acknowledgment by the participant to all terms listed within the body of the registration agreement as of the date of electronic filing. Participant hereby acknowledges the reading of this agreement and acknowledges the receipt of a copy hereof and acknowledges further that he/she has not received or relied upon any statements or representations by HCOMI which are not herein expressed. Participant hereby agrees to all the terms and conditions herein expressed. IN TESTIMONY WHEREOF, the Participant has subscribed his/her signature as the day and year below written.